The library is closed on Sundays, bank holidays and occasionally for special events (see below). To check whether we will be open when you visit click here. To enquire about tours and group bookings please call on 0161 236 6785. 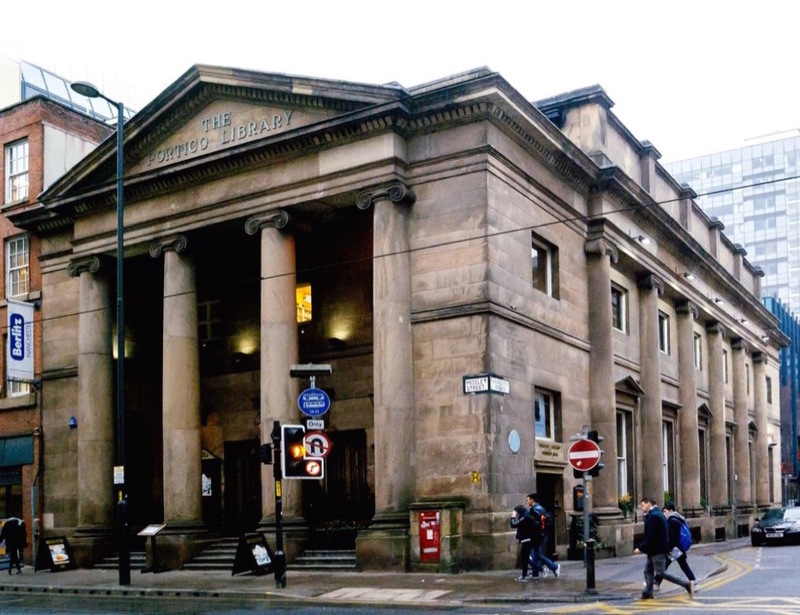 The main entrance to the library is on Charlotte Street at the corner with Mosley Street. There is an intercom button next to the door and the library is up the stairs. As a Grade II* Listed Building the library does not yet have fully step-free access, but if you would like to use our stair-lift please tell a member of staff who will give you directions to our more accessible entrance. Anyone can enjoy breakfast, lunch, drinks and homemade cakes in The Portico Library from Monday to Friday each week. Click the link below to view our full menu. To enquire about event catering, group bookings and afternoon teas please ask to speak to a member of catering staff on 0161 236 6785.